Browse: Home / Australia: The World’s Favourite Destination? Australia: The World’s Favourite Destination? Despite its distance from Europe and North America, Australia’s tourist numbers only ever seem to go up; the country’s Bureau Of Statistics reported an increase of over 8% for 2014. Or perhaps it’s because of the distance; what is such a huge journey for such a huge proportion of the world’s population is seen by adventurous travellers as a truly exotic destination, perhaps a once-in-a-lifetime opportunity. The fabulous attractions and laid-back lifestyle don’t hurt either, of course. 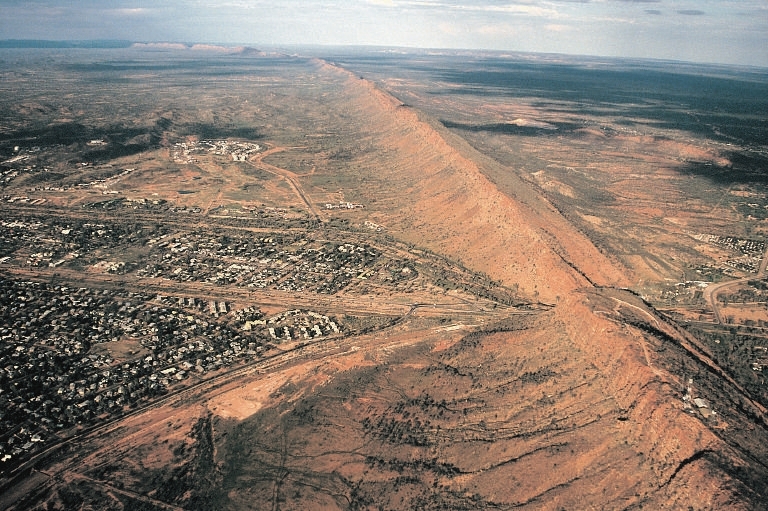 For both backpackers on a budget and travellers with a bit more money to spend, a journey into the Red Centre is usually high on the agenda. Newcomers may think of the outback as an endless desert punctuated by bizarre, beautiful sights like Uluru and Kata Tjuta, but those who make their way to Alice Springs are often surprised by what they find. Modern Alice Springs, or Mparntwe in the indigenous language, is a thriving town with plenty to see and a busy cultural calendar. There’s a decent selection of bars including the steak fans favourite, Bojangles on Todd Street, and a thriving casino, Lasseters, offering table games including blackjack. Lasseters has free Wi-Fi, so if you’re something of a novice, you might want to try your luck online first – RubyFortune.com, for example, offers many of the same games you’ll find here. Aboriginal art events combine with desert races, great accommodation and a wide range of dining options to make a trip here memorable, rather than simply something to tick off a list. Nearly 30,000 people live in the town, over 2,750km from Sydney and almost as far from Perth. Everyone wants to take in the extraordinary views offered by Sydney Harbour – and with good reason – but Australia is full of lesser-known gems. Esperance in Western Australia, about 8 hours by car from Perth, is one such gem that’s perfect for beach lovers. The sands are postcard-white, the water varies between azure and turquoise, and there are dozens of islands which you can explore by hiring a boat. You can even choose to stay the night on one. It’s not a particularly easy trip to Esperance, but you’ve done most of the hard work already by getting to Australia, so why not? Funding such a trip is a perennial issue for backpackers. Workstay is an initiative that began in 1986, and is a decent place to start for anyone who’s looking for bar work to tide them over. Fruit picking is also a popular choice with many working holidaymakers; most areas, including New South Wales and Tasmania, require seasonal help, though Workstay advise you to ask about other jobs (for example, helping around the house or babysitting) if there’s no work in the fields. However you fund the trip, you won’t regret it; every year, thousands more people find what they’ve been dreaming of in this amazing country.